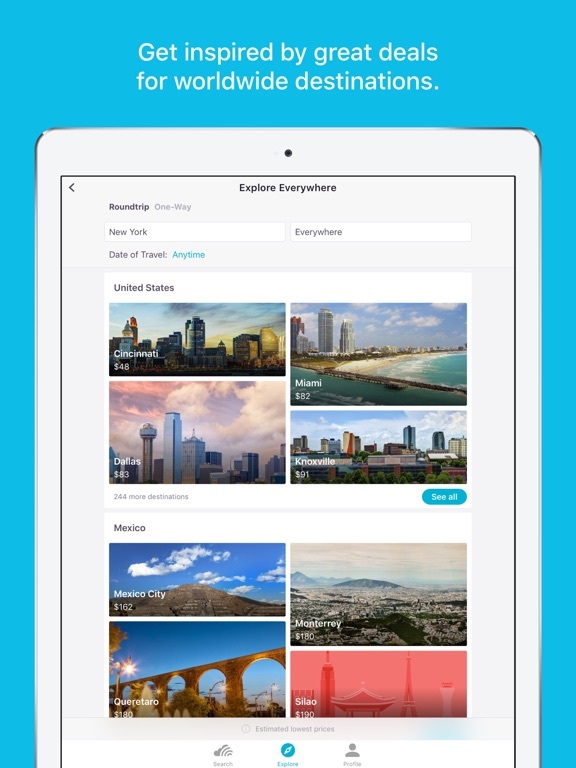 Our app will make you have the best trips ever, as we love travel as much as you do. Find cheap flights, hotels, trains, car hire – book your whole trip in fact. We’ll even watch flight prices on your favorite routes and let you know as soon as they change. We can do all this because we connect you with everything the travel industry has to offer, getting the best deals every time. And there are no booking fees or hidden charges – just the lowest prices. That’s one of the reasons why our 70 million (and counting) app users are such happy travelers. BOOK YOUR WHOLE TRIP Yep, you can. We’ll get you where you want to go, staying somewhere you want to stay, and give you loads of suggestions on what to do while you’re there based on our other travelers’ reviews. FIND cheap flights Search and compare flights all in one place. We can also show you the cheapest months and dates to fly, using our calendar and chart views. If the flight price is too high, no worries. We’ll let you know when it changes so you can grab the best deal – just tap the bell icon and we’ll send you a notification. GET THE RIGHT hotel Thought we were just about flights? Nope, we’ve got your stay covered too. Compare great deals from thousands of hotels, resorts, apartments and hostels all over the world. Or find rooms near your current location and grab a last minute bargain. RENT A CAR Choose where and when to pick up your hire car, and we’ll show you the deals. You can filter your search by vehicle type, fuel type and features. And our Fair Fuel Policy flag will make sure you’re not paying too much on fuel – we’ve got your back. LOOK, NO ADDED FEES Did we mention we don’t charge any booking fees? Never. None at all. GET FREQUENT FLYER MILES Loyal to one particular airline? We understand, they just get you. Add your loyalty card in the ‘Profile’ section of the app and earn frequent flyer miles – even when you book through us. FIND INSPIRATION Itching to travel but no idea where to go? We’ve got you. Tap ‘Explore’ to check out our inspirational destinations with the best deals. And read reviews from other like-minded travelers so you know you won’t be disappointed. TAILOR YOUR SEARCH Know what you’re looking for? Filter your flight search by flight duration, airline, number of stops, travel class, departure and arrival times. Easy. BROWSE RECENT SEARCHES Pick up where you left off. Your recent travel searches will be right there on your home screen when you next open the app. SAVE YOUR flights Want to look but not ready to book? No problem. We have a ‘saved flights’ setting where you can ‘star’ a flight you like. Then it’ll show up on your home screen, so you can pick up where you left off. Enjoy! It used to be easy to look for plain ticket prices. New app complicates it by forcing a user to follow the ‘explore’ option. I will rather use other apps till this can be rectified again. Hello. 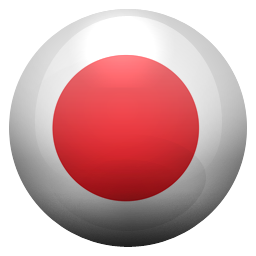 This app is very good to use but needs a little beat update. Searching flights apllies carry-on luggage only. Add,please,new possibility in settings searching flights with checked luggage also. Momondo has it! Thank you. Iphone 6s user. Highly recommend this best deal! Great tool for finding deals! I find it very helpful. 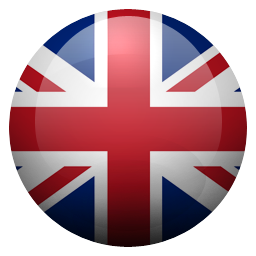 Easy to use and practical as it gives you the prices with all the airport taxes included. Been using it for years and it never disappoints. I get my budget airlines and the fanciest options! thanks, skyscanner! My friend told me about this app and it total helped me the least expensive flights and book them. The best way to find flights for me. I fly a fair amount for work and family. Much of the travel is international. 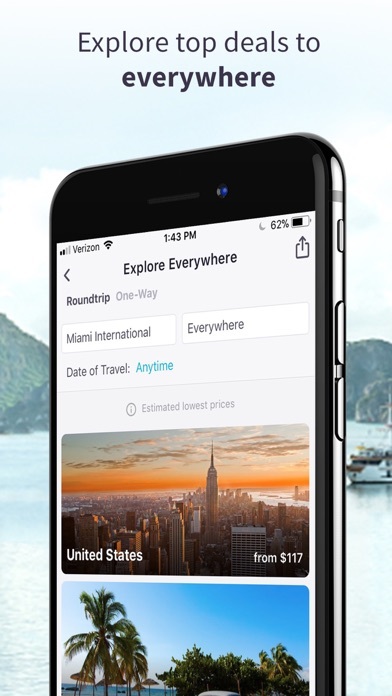 I use several apps to find the best routes and depend on a few to drill down and get the best options for buying (direct from airline or travel agency, etc.). Of course I’d like to add some additional features but overall I use SkyScanner the most. Always non good deals in here!!. I have not been able to buy!!!! Sky scanner doesn’t check providers for authenticity. It’s just a generator for flights. Be really careful when booking. I got scammed and they tricked me into thinking I was booking a flight and was charged for a ticket I never actually bought. DO NOT USE THIS APP USE HOPPER APP OR EXPEDIA. If only they had an easy way to track all the flights you’re watching. Say like... a tab at the bottom? This is the only app I actively recommend! Absolutely great for finding cheap flights! This app has helped me find the best prices for airline tickets over the years and continues to prove its effective efficiency! It lags and is glitchy. When you google flight your trip and see it for $466 but Skyscanner has it for $336....how can you not write a review?? Really like all the options and ease of use. I love Skyscanner but what’s the point of this app? It’s way clunkier than the website, with more limited functionality. It also keeps stopping my music in the background, which is just a big no. Awesome App. Fast and accurate. Always my first choice when I travel. App never disappoints. I don’t want to explore a city or trip. Just want to search flight prices. You’ve turned a simple app into this monster. I’d like to know which genius signed off on this? You can’t just search a flight!!!!!! Need quick flights here and there for clients so I thought I’d check them out. Orbitz and Hotwire were around $100 less then they were.. This app is so easy and keeps you posted on price changes. It’s quick and easy and remembers where you where when you closed the app. Quick and easy is all I can say. This App is fantastic. 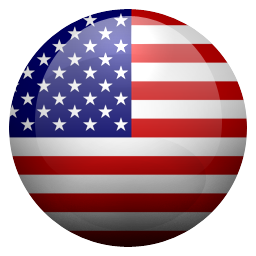 One of the nicest compilers out there relating to airfare searches. I have also used it for hotels finds also. Pretty amazing app that I now rely on when conducting airfare finds. This has been my GO TO app for years of flights and all the good points are well documented by reviewers already BUT I’m not happy with flight details being removed! Previously when you saw a flight that was a possibility, you could click on ‘Details’ and see connection stops; layover times and aircraft types. Now aircraft types have been removed. This is a very bad move as frequent flyers need to / want to see that information. I will not buy a ticket unless I see what type of aircraft is allocated to that service on that date (never). Do not book a ticket through this App it is a total scam! I bought an Alaska airlines ticket through a retail travel agency and then I needed a refund. When I requested the refund from the airline, they issued it to the travel agency, who now is refusing to send me my money. This the best website Eva I booked my flight on. The prices are remarkable they compare with all airlines and agencies to get us the cheapest deal whaT so Eva . LOVE IT!!!! I absolutely love this app especially when you are open to travel anywhere. I am familiar with many programs. However the crushing information on varied airlines web pages can be daunting. Your program is clear and easy to manage. I especially enjoyed the special note that arriving in Shannon Airport SNN at 5:50am might be too early to arrange any transportation to hotel. I did not think of that point. I am grateful you did. Thank you, Maureen P.
Going to Kona 1.5k fam of 5. Can’t beat it. Google exploretrip.com that’s all you need to know about this app. My husband and I got scammed out of hundreds of dollars using this app because of shady third party agencies claiming to have better airfare than they really had. It seemed too good to be true, I should have known. This is a good app for searching out good deals, and I would recommend it. Using Explore was the highlight of using this app for me. However, now that I’m searching for flights to Spain this summer, if I “Explore” this location, it shows me a series of longer duration flights around 450, but when I tap on it, it’s nearly double in the 800s, an entirely different price. It does this for nearly any location and date. Overall I’m very disappointed with the inaccuracy of prices; it’s deemed to be nearly useless unless I’d rather search it date by date instead. With this in mind, I hope the developers will consider shining a light on this issue and improve the searching feature. No hassle, no stress, no confusion. Simply your flight assistant in the palm of your hand. Love it!! Excellent app for flights. Enjoy the price alerts for short term trips. If you go onto the airlines website you’ll find cheaper fares. The cheapest flight they found was $345 with 1 stop bringing the total time to over 10 hours. Go onto the airline website and cheapest flight is $137 one stop and total duration 4hrs 40mins. The same flight didn’t even show up on the app. Same thing with other apps. I really love this app honestly. So far so good! I really got good deals from here! Still trying to get used to it! Really enjoy finding the best deals and the chart feature. As a remote worker it’s allowed me to really capitalize on the freedom I’ve allowed myself. I have booked a few things because I have found the best deal on this app! Time saver for sure. They advertise some extremely good looking offers then the prices change when you try and select the flights. Huge fail. The best flight searching apps I’ve ever used. Highly recommended to all travelers. I ordered tickets on Skyscanner and went through some company name FareBoom. Purchased my tickets and then got like 5 emails saying that I needed to send them a picture of my credit card front and back. For what? And if I don’t they’re gonna cancel my flights and charge me a cancellation fee. I’m guessing that’s how they make their money. I’m so disgusted one star is not low enough. Always the first air fare search I do since I am always satisfied. Always cheaper prices than Expedia and all other apps I’ve used. Easy to use, just do it. La use para comparar precios y termino siendo mi agencia de viaje por ofrecerme el mejor precio. The app appears to be OK but why would they quote fares that can only be purchased through faredepot, who is obviously a very dishonest partner? Skyscanner is very user friendly site and is one of the best sites to compare flights that I have found! Usò questo sito da anni e sono molto contenta! É fantastico! 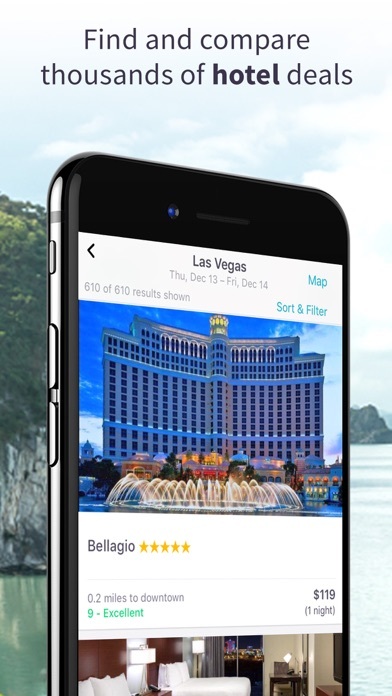 Is a great app to find cheap airplane tickets and places to stay.!! Booked a rental for my boyfriend using this app and it sent me to an Italian company. I checked the reviews and everything seemed fine. When he got to the airport, he found out the price would be $300 more and that the Italian company required him to be Italian in order to rent the car. That was never stated in any documents or website pages upon booking. I’m just really disappointed that Skyscanner would even put that as an option for a person living in America, going to a different state in America, to be able to rent a car through a foreign company that wouldn’t work for Americans. Thanks guys. Found a united non-stop flight from DC to Tampa on Expedia. Down loaded this app to follow price changes. App could not find the flight. Skyscanner is TRULY my go to App for looking up & booking flights. You can search for a flight and if you are undecided just “save” it and come back later. See whether the price dropped or increased on that route. 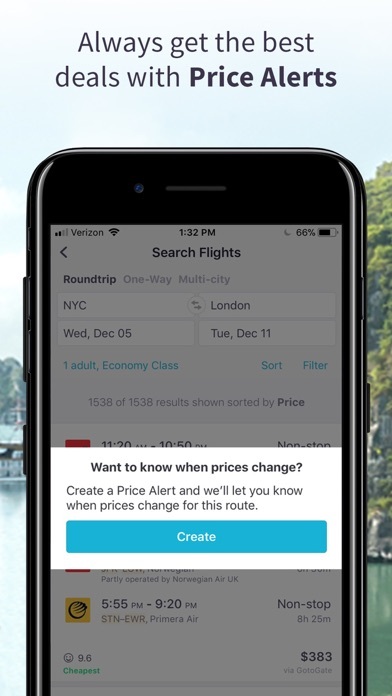 You can also “set a price alert”, so I have already set my alerts for 9 months in advance and monitor when cheap flights come up for upcoming holiday trips. It's easy to use, easy to navigate. Its' simple design and clean graphics make the information clear and straightforward. It scans multiple airlines and seems to offer better pricing for flights and connections than some of its rivals. When trying to search flights out of NYC (tried JFK and EWR airports) in May, app tells me no flights are available. There are no flights for an entire month going anywhere? Obviously that’s incorrect. I want to be able to search for the cheapest flights to anywhere during a particular timeframe, something the app says it’s supposed to do. I would think that lots of people would want this feature! I don't know if it’s a bug or if I’m in the wrong A/B testing group but please fix it! Didn’t save my flight in the app! Prices go WAY up once you click through to actually BOOK the flight. It’s so frustrating. Unreliable. Cheapest flight app I ever use!! Lot better than Expedia orbitz and anything else out there!!! Want to set an alert when price of a flight goes down but the google instructions for the app were not accurate. There was no bell to set. I hate when you take the time to download an app and the instructions aren’t available as promised. Simply the best place to find flights. I don’t review apps often but this app makes looking for flights extremely easy and gives suggestions on how to get a good deal. Recommend this app very much. I like that sky scanner is easy to use both on the phone n laptop Results are quick .. It works well for RT, n 1way. But not well for multi-legged journeys. 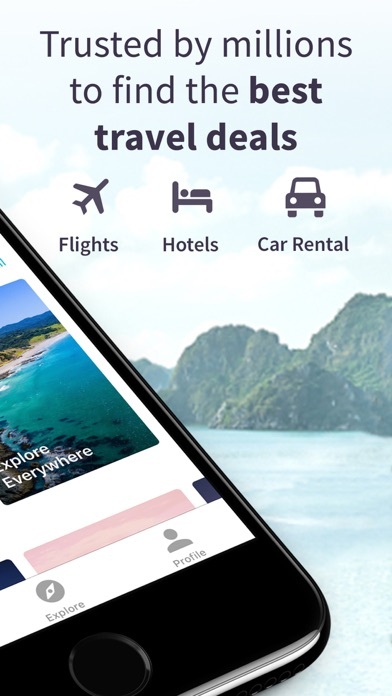 I’ve been using Skyscanner for over 10 years now for a my flights and car rentals and for me I’ve always been getting the best deals via Skyscanner, using other apps for comparison but nothing beats Skyscanner! This app places all flights in one succinct location, and always allows me to find the cheapest airline rates. Always the best prices, the app is super easy to navigate. The app doesn’t work half the times : freezes and says: oops! Something went wrong. // Работает через раз. Пишут, что то пошло не так. И все. I wanted to leave a comment and this was prepopulated: “Coolest airline search and travel app ever! Period.” I couldn’t agree more. Nuff said. Lol I am not sure if they include all the budget airlines though. Been aware of the website forever but haven’t used it in a long time and never needed the apps (usually use website etc). So currently with new flight Ike’s and booking multiple flights for a trip I downloaded this just to see what’s new. So.. um, wow. For flights, super smooth and fast. Searches flights ASAP. Can sort quickly and accurately as well. Notifies you before you have to jump to website to buy if this is a flight where you have to make your own connection in red. Shows clearly the bulletin points to be aware of for the flight (ex, overnight flight, long layover u might need a hotel, short layover, everything you might be overlooking!) Refreshes so smoothly and quickly and accurately. I even did some crazy multiple destination flights and it did it just as smoothly as well. Later before booking the Airbnb for part of my trip I decided to look it up on this app. And it found the apartment and showed me all the various websites where I can buy it (so it gave me additional info to variety the listing), but I will be coming back to it to confirm prices for big name hotels etc. so for hotels it’s very good but for flights right now it’s basically amazing. Anytime & anywhere feature is back!! UPDATE: you changed it back! Must’ve been doing A/B testing or something and I got in the unlucky group. Back to 5 stars! . Latest update killed off the best part of the app. When you select “explore anywhere/anytime” it gives you a list of prices to several locations, but then no longer brings you to those flights. If I see a $99 flight to Denver for example (after using the anytime/anywhere criteria) I used to be able to click on it and see the exact dates that $99 flight was for & then browse other dates with low prices to that destination. Now, I’m brought to an info page on the city with a button to “find flight deals” and the date is arbitrarily filled in and it’s not even the date with the cheapest prices. Please go back to the previous version! I would honestly use that feature to find my next destination! Just find a cheap flight to someplace I hadn’t been to without having to spend hours browsing and looking for a good deal. 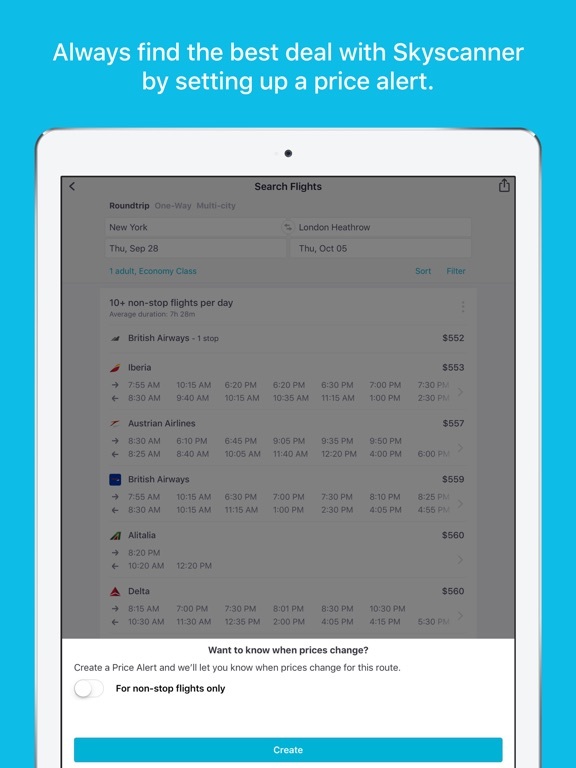 I use this app to find the best prices for flights and it’s great. I love that I can subscribe to flights and be alerted when the price changes. However I get too many silly notifications because any change triggers the notice. For example - I get notified when the price changes by $1 which is a waste of my attention. In addition if I subscribe to more than one flight the notification becomes generic and I have to open the app to see which flight changed. I wish I could control the limits of my notifications (like only tell me when the price drops by more than $30, etc) and that notifications were more clear - especially when subscribing to more than one flight. Keep up the great work! This app is powerful. I’m also disappointed with the changes to the “explore” portion of the app. That is the main reason I used this app over any other airfare app. Being able to pick a destination and have the app tell me all the cheapest dates to travel to that destination, was extremely helpful for a flexible traveler like myself. Now the app fills in one set of random dates for that destination, and I can no longer explore and compare different dates without having to type in each date, look at price, change date, look at price, change date, look at price, etc... PLEASE update the app to have the explore option how it used to be. It really set this app above the rest being able to explore different locations or dates based on what is cheapest at the time. It was so helpful when I don’t have a specific destination or specific time frame I want to travel, I just know I want to go somewhere and have it be as cheap as possible. I’m not sure I have use for the app without that feature. Shady travel agencies it recommends!!! Nothing wrong with the app itself. The problem lies with the shady travel agencies it suggests - a lot of them operating from either Eastern Europe or India. And that’s for regardless where the flights are to and from. I am never going to use this site or app again after having had several issues with the travel agencies it recommended while purchasing ticket. When the call is routed to Eastern Europe you know that any changes to the ticket whether airlines charges or not they want hefty change fees. And if the it’s an Indian agency they want to “verify” your credit card even after the ticket issuance by having to divulge credit card and passport info again (usually by sending actual pictures of the stuff) - archaic and obnoxious!!! Screw this - buy from the airline site directly - prices are lower or at worst the same - who need this app!!! I am disappointed with Skyscanner because I actually never got a flight through the app. Also, the carrier in the search results are frontier and spirit. These carriers do not add seating or baggage prices to their total price. Their goal is to provide options for their guests. This would not apply to me. Also they both are known to have late arrivals and departures time with poor customer service. In addition, there are booking site most people are not familiar and thorough research has to be done before booking. 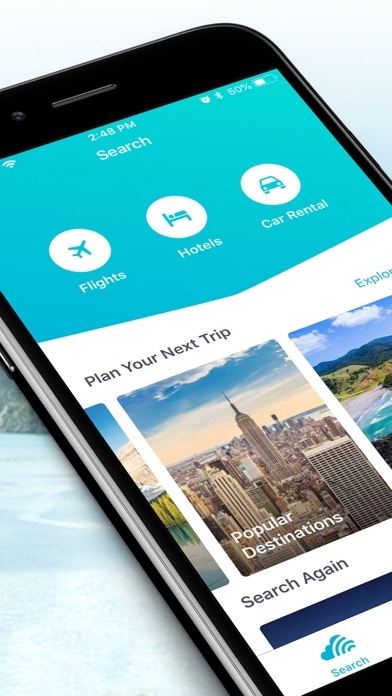 Skyscanner is not an app for last minute trips. Trips need to be planned in weeks or months in advance. Lastly, I do not like the calendar or chart feature. It display a cheaper flight price than what the results display. Hope the review helps. My wife booked a flexible airfare through Skyscanner, and paying more, just in case we needed to change dates. As it turns out we do need to and Skyscanner denies any responsibility saying they are only a search engine, our tickets are actually with Tripsta, and we need to deal directly with them. I’ve called both Athens, Greece and Auckland, New Zealand, and messaged them several times, all with no success. Now I’ve been told they are in reorganization and we are authorized to deal directly with Japan Airlines, who say it’s not their problem and won’t even discuss with us any changes. As I have to stay several more months in Thailand I will be forced to forfeit my return flight, and the money involved, all due to “Skyscammer”! This is outrageous, a total ripoff, and I would suggest that no one ever book through this company again. Only 2 reasons why I can’t give it 5 stars: I wish it had finer grained control over notifications (I want to see if a flight I’m interested changes, I can’t stand random notifications asking if I’m “still interested 👀”), and also, I can’t seem to find a way to set a watch from the app. If I set up a watch on desktop, I get notifications for price changes, but if I save a flight on the mobile app, no notifications, and appears under “saved” instead of “watching.” Maybe I’m missing something somewhere, but if so, wish it was easier to find. I’ve been using Skyscanner for many years! I love it because I can search most airlines at once and find the best combination of travel dates to save money by day, week, month, and year. We used Skyscanner recently for our trip to Australia and New Zealand because I found a super cheap time to fly for our family and changed our previous destinations. 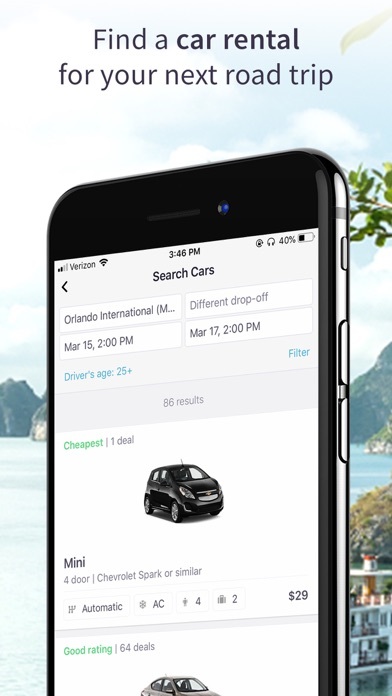 The search functionality by month and year is particularly useful when you are not stuck in flying a certain time of year or day and just looking for cheapest travel times. We LOVE Skyscanner! Skyscanner is a really good app to use for flights, but i dont like some things of this. The flights they show are not always THE cheapest, you can still find aome cheap deals before that and what i mostly dont like is how that when we select a date from the charts if says that the cheapest flight is of $300 but when we go to select a flight it is no where near $300 but its triple the price so it is like clickbait that the chart tells another price and we get something else. That is really confusing and frustrating. I hope this gets fixed or the problem gets solved. I looked up flights under the "explore" section. I saw all these inexpensive prices for the select dates that the app provided but then when I click on the price to explore what flights were available for that price there was always nothing available for the price that they advertise. I'm assuming the inexpensive flights were sold out but if that is the case, don't advertise them as if they are available. I used the "back space" button to go back to the previous page because I thought maybe I just saw the price incorrectly but I didn't. Everytime I went to the original page that showed all the available inexpensive prices, the price increased every single time and the inexpensive price that was originally advertised was gone. How I have travelled the world! Updated review from 2017: I'm sure I sound like I'm being a tad dramatic, but this app is literally life-changing! With its help I have successfully visited over 17 countries across Europe and Asia. My most recent trip was to Thailand for a little over $500 round trip. Thank you, Skyscanner for making continued world exploration possible ❤️ Original review from 2014: I am 23 and with the help of sky scanner have been blessed to be able to travel! Milan Italy round trip for $800? You're joking! Iceland for $99 bucks?! This app has literally changed my life. I like to use the “explore” option from my closest airports. We are flexible with travel dates so this feature helps save money on tickets...theoretically. However, 9 times out of 10 the price is substantially higher than what is reported when you select those dates. For instance, when ‘exploring’ travel deals out of LAX it says tix to Rome are $360 for 2 weeks at the end of August. Awesome! Yay!! I select those dates and wait for the itineraries to load. The cheapest price is $604. Wait, what?! This has started happening so often I’ve reverted back to using good ol’ Google Flights. This is how I (we) roll!!! I have been using sky scanner for a very long time! Been traveling across the globe - America, Europe and Asia and I’ve always use sky scanner to find cheap flights! Recently we traveled all over Europe (8 countries) but to get there, I found a round trip ticket from US to Switzerland for $550 a piece for a peaked season! From there the 4 of us, hubby and my 2 kids went around summer time and spent country hopping for 3 weeks! Keep checking! Keep looking! You’ll find the right price for you!!! Good luck traveler! My barber told me about this great app that he uses to go all over the world. He told me that if you have flexibility on everything- departure, return, even destination- you can find some amazing deals. I downloaded immediately and it's not as easy as he made it out to be. I'm constantly on the help page to utilize this wonderful 'flexibility' feature (I'm still not convinced it's working) and see lots of comments from users not at all happy with the latest upgrade- this is what my barber had described to me. It is not that different from orbitz, travelocity, etc. I feel that I missed the boat. This app is amazing in so many ways. The amount of features is insane. There are just a couple of small things though. Sometimes when selecting filters for how many stops, it won’t let you scroll down to actually select anything. That ones small, but one I come across often is lack of pricing. I’ll be under the everywhere tab for a certain month and it won’t show any flights. I feel like it just shouldn’t show the country if there aren’t any flights. Anyway, great app. STOP PROMOTING HOP2!!! Just stop. My boss booked tickets and tickets were fine then there was a charge of 3 person airfare going to Houston. Fraudulent charge. This is an ongoing issue with the company. If you look at travel boards this is a common occurrence with as soon as you book a ticket, there are fraudulent charges after. This company has also been reported to the BBB. Otherwise, I love the app. I have booked 7 international flights. Some with 3rd party some through the airline. It is my go to app, but for the love of **** get hop2 off your site. I made a reservation for a trip 3 months in advance and paid for it upfront. A couple of weeks later I called back to make changes to it. Due to changes outside of my wonderful, the wedding I am attending changed venues. I called to make changes to my reservation. Not only was I reminded that my reservation was nonrefundable, but when I tried to change the destination of it I was being charged over $1500. It was explained to me that this was the total fo change penalties, plus the fare difference on the new destination. I checked the fares to the new destination before I called and they were cheaper than my original destination so I am not sure how they came up with this number! I love the concept of the app. Especially how I can browse where the best deals are if I have very flexible dates of travel. Great for scheduling vacations around cheapest flight options. One suggestion: I wish my saved searches had their own tab and I could filter them or look them up by place or date. I enjoyed using the app and saved like 30 flights and I have to go through every one of them now to find the one I’m looking for. Just a minor organizational thing for me. The best app for cheap spontaneous trips!! I have used this app to purchase absolutely every plane ticket I’ve ever purchased and it amazing the deals I have found. 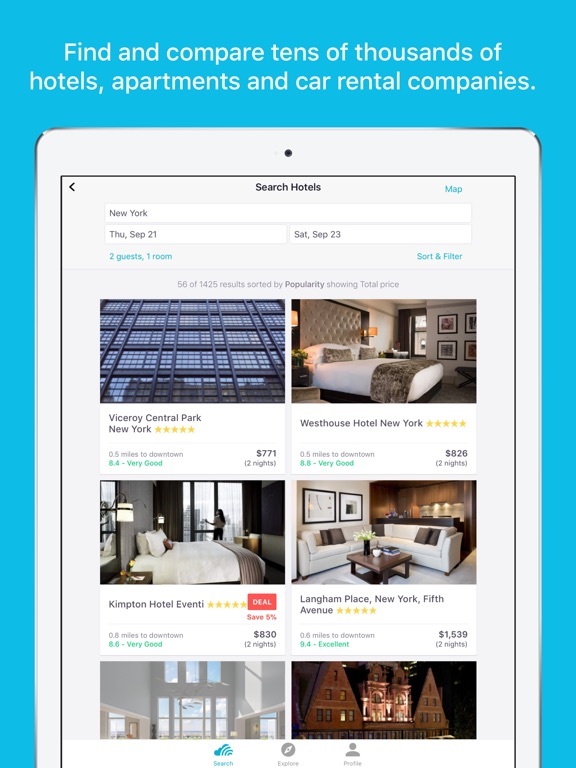 This app helps you find the absolute cheapest deals there is to practically anywhere. I traveled from Miami to europe flying to 7 different cities and back During the spring, and I did not spend more than 700 dollars on plane tickets. I can not stop traveling because of the prices I manage to find on here. I have not booked a flight with this app, but I am not sure why one would use it over Google Flights or Kayak, as both seem to have better features. I cannot figure out a way to make Skyscanner search nearby airports or flexible dates like the alternatives can. It also frequently recommends me options that have 25-30+ hours of travel time for a flight that should be a single 3-hour hop. Finally, the UI is a bit weird at times. Trying to transition from one-way to round-trip in the date picker took about 60 seconds of awkward fumbling for me. The app did not responsible for anything- payment through booking- after your booking request, there will be an email informing your booking need verification and u must call. Agencies at the end of the line are Indians who always ask your personal info and credit card verification (for data base purpose purely and I am afraid if they will sell my credit card info someday). The cheap tickets, as shown in The app, never exit: they just want to keep your private info and tell you ,on the phone call, to pay more for the tickets u want. Why this app get 4.8 ratings? May be the votes are from those Indian agents. This company is freaking phenomenal. The app is super easy to use, and is my go-to for finding cheap flights. Combined with Hopper you literally can not find better prices! I spent 21 days in Europe last October (flew out of Austin TX and back by way of Seattle to visit family) and the ENTIRE thing cost $805 in airfare. I went to 4 countries and 2 major US cities for less than a thousand dollars! I'll talk about that savings forever😂 THANK YOU SKYSCANNER I LOVE YOU!!! It does not show flights as “overnight” if they take off after 12. So if a flight leaves at 12:30 AM and arrives at 7:30 am it’s not shown as overnight. Besides that, just great. Even better than the computer version IMO because of the airplane data it offers. Would like to be able to filter out connecting airports though. Well, until the end of time we’ll probably never get a perfect app, but this is pretty darn good! It’ll show me a list of prices, but also show me how good the deals are for the price. It makes shopping for flights and other deals much easier that way, since i don’t have to guess if it’s gonna be a long layover or a quick stop and go. 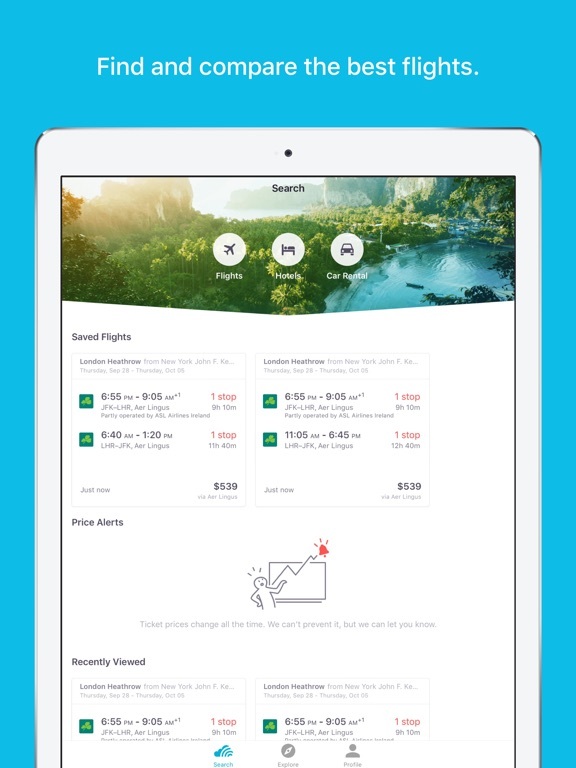 I like Skyscanner, and I recommend it to all of my friends looking to travel. Did it lose its best feature? I like this app until two recent incidents that showed me much lower prices. When I click on it to purchase, it links me to CheapOAir that doesn’t actually have those tickets available. I understand that may happen once in awhile but I tried many times, and it’s like that each time. Skyscanner shows those tickets are available but once I follow the link, the price changes. When I go back to Skyscanner, it still shows the lower prices available. I think CheapOAir is a scam and skyscanner is allowing it to do so. Very disappointed and probably won’t use it anymore. Skyscanner is my vice. We have travelled DOUBLE the amount that we would have if it weren’t for this precious gem of an app. I have tons of trips saved on my account and the app acts like my personal assistant and is constantly working to find price drops. I plan my next trip as soon as skyscanner updates me on on super low prices. Definitely worth the download. PROS:: - Just downloaded this app (recommended by a YouTuber) last night. Still exploring and playing with the features. - Really digging the layout and format. Very serene and almost soothing (not so much in-your-face like some other apps), with beautiful respective images of most visited places and famous cities spots. - Immediately liked the fact that they keep up with their updates, so kudos to the team! 🙂👍🏾 CONS:: - Not sure why it isn't helping me save a filtered search. - App is unable to follow up/I can't seem to set up an alert for a specified filtered search. FINAL THOUGHTS:: • There's always room for improvement, I guess (and I hope they do). Please do keep trying new and improved things. Holds potential for me recommending to a friend or another. I've been using Skyscanner for a really long time and I've saved a lot of money. Although if its possible I'd suggest if you could make a return trip from the same country but different city, for example if i choose return ticket from Poland I want to see what's the cheapest option by the city even if it's different each way. Easy interface, simple, and perfect. I can come here and book a flight in less than 5 minutes total THROUGH the actual carrier’s website (which usually enables you for perks you wouldn’t get if you purchased via third party). I love this app and always recommend to friends. Will use for a long time. Thank you!!! I have used this app for the last 2 yrs and have always found the best prices. I travel a lot in the country as well as to Tonga and I have gotten the best prices through here. I wish it gave price prediction but I use others for that and book through here and it’s always $5-10 cheaper too. I love this app. Won’t use anything else. This is an easy-to-use, convenient, helpful app. 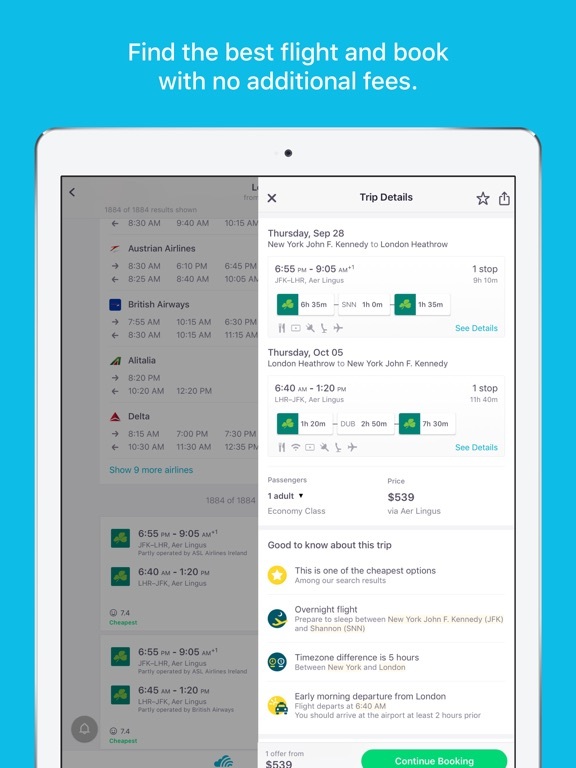 Searches flights quickly and categorizes results in a way that makes them easy to sort through. The only thing on my wishlist is I’d like to be able to block certain airlines from search results. I never fly Frontier (no matter how cheap they are), for example - so if there were airline preference options it’d be a perfect 5 from me. The only reason I got the app was because someone used my email to sign up and I don’t want notifications and advertisements being sent to my email address. When are companies going to learn that this is a hassle for the individuals who the email addresses belong to. THESE IDIOTS RESPONDED BY STATING TAP ON APP SUPPORT AND FILL OUT THE FORM. 20 minutes latter after tapping on every option no form. THE APP MIGHT BE GREAT IF YOU ACTUALLY SIGNED UP FOR IT, BUT THESE COMPANIES NEED TO VERIFY AN EMAIL BEFORE LETTING ANYONE USE YOUR EMAIL ADDRESS!!!!!!!!!!!!!! This is the best app to search for flights. I always find the best deals on here. People always try to tell me about other sites and I show them sky scanner, I always have the flight they had plus usually a cheaper one! Update: I guess Skyscanner has decided to stop showing the ups and downs of prices so people have to click more. So they lose a star. It has helped me save so much time of going through the what if’s of having to find the cheapest deals. I like that it shows me cheapest flights to “everywhere” from that airport on that day. It’s ideal for people that want to take a random trip somewhere that just happens to have cheap flights that day. Love it for hotel finds too! When looking at specific destinations, skyscanner used to give you the cheapest option regardless of date first. You could search by specific dates, but if you were flexible and didn't care you could get amazing deals. (I flew round trip to Europe for under $400 this way). Now that option is gone. I search for a location and the only way to see prices is to input a specific set of dates and I can't find a way to switch to the old search function. This makes the app functionally useless for me. Wow, this app is bad. I entered a flight search, and mistakenly entered round-trip when I meant one-way. Now it won’t let me change the search to one-way. And there is no way to clear the search and start over. I’ve been trying for 15 minutes and seriously I can’t find a way to start a new search. I’ve even logged out, shutdown the app and restarted. It just shows the same search forever. Maybe you have to book the flight before you start a new one I don’t know. I have no choice but to delete the app. Great search engine for travelers, we use 99% of the time to locate very competitive prices if not the best prices all over the web. Thank you very much to Skyscanner team for keeping prices very reasonable Ps. We never had any issue at airport with tickets. Keep the good work and keep us flying at reasonable prices. Korea Smart Card Co., Ltd.